Bill was born on May 7, 1941, and became the adopted son to the most loving parents of William and Burnes Woodside. The family lived in Mission, Kan., where Bill attended St. Agnes Grade School. In the early 1950s, the family moved to Platte Woods, Mo., where in 1959, Bill graduated from Park Hill High School. He was an active student, becoming class president his sophomore and junior years. Bill was very involved in student council, varsity club and was an exceptional football player and track star. After attending a year at University of Missouri, he established his own Woodside Construction Co. in Riverside, Mo., which he operated until 1986. He then joined Damon Pursell Constr., Co., where he served as vice president. He was a past board member of the Heavy Contractors of K.C. Bill was a member of the International Society of Explosives Engineers, being honored by receiving the President’s Award for outstanding service to the ISEE. He was also a former president of the Heartland Chapter of ISEE. Bill Woodside has passed away. Husband, son, father, brother, uncle. Dozer hand, Blade hand, loader and hoe. Bossman, dirt man, tractor man, blaster. It’s not so much what we are, but who. If you worked with him, he’d get in as deep and have as much dirt, grease and knuckles busted as anyone. If you worked for him, you would want to make him proud of you and he would let you know when you did. If you made a mistake, he would probably let it go quicker than you would. If you broke something, he would help you make it right. If he made a mistake, he was the first to admit it. He could say “I was wrong.” And if he owed you an apology, you got paid. In fact, if he owed you anything, you've been paid. The Mass of Christian Burial will be celebrated 11:30 a.m. Thursday, April 3, 2014, at St. Therese Catholic Church, Rev. Joseph Cisetti as celebrant. Visitation will be held 10:30-11:30 a.m. prior to mass. Memorial contributions are suggested to Mercedarian Missionaries of Berriz, 2115 Maturana Drive Liberty, MO 64068. The final arrangements have been entrusted with the Meyers Northland Chapel in Parkville. Memories of Bill and condolences may be left online at Meyers Funeral Chapel. Daniel F. Fitzgibbon, Jr., 82, Simpsonville, died Wednesday, October 23, 2013, at Baptist Hospital East. A native of Chicago, Ill., he was the son of the late Bridie Sheehan and Daniel F. Fitzgibbon, Sr. He served in Bermuda with the United States Air Force from 1950- 1954 where he maintained and constructed air fields using drilling and blasting techniques. He was an expert explosives engineer and had worked on many construction projects and mines. He drilled and loaded holes in various quarries in Illinois and Wisconsin with the Trojan Powder Company, Vibration Measurement Engineers, and Explosives Engineers Company from 1959-1969. He then moved his family to West Virginia to work on Interstate 64/Kanawha Turnpike in the South Charleston area. Mr. Fitzgibbon performed pre-splitting and blasting operations. The gap that he blasted through the sandstone acquired the nickname “Dan’s Canyon.” One of two walls was removed by later construction, but a smooth and symmetrical wall still stands as a testament to his skill. From 1976 – 1987, Mr. Fitzgibbon owned and operated a limestone quarry in southern Randolph County, W. Va. Mr. Fitzgibbon mined and sold crushed limestone to many customers, including the West Virginia Department of Highways and the new Snowshoe Mountain Ski Resort. Upon moving to Kentucky in 1987, Mr. Fitzgibbon painstakingly began to compile a catalog of drilling and blasting supplies. Using his extensive knowledge of and contacts in the explosives industry, the Blasters Tool and Supply Company catalog was created, and is still in use today. Mr. Fitzgibbon created and operated Powder Monkey Inc., a small wholesale blasting supply business, including the marketing and sales of his air decking system. Mr. Fitzgibbon continued to work with Blasters Tool and Supply Company in a limited capacity. It was during this time and up until his death that Mr. Fitzgibbon began working on his six patents, the most familiar being for the air decking system. Then in 2001, he started Fitzco, LLC, his last business venture that did much the same as Powder Monkey but with less travel. Mr. Fitzgibbon was a member of the International Society of Explosive Engineers. He was a familiar face at trade shows, conventions, and ISEE conferences and traveled extensively all over the world. He often had a booth set up to show his air decking system to attendees. He didn’t know a stranger, and knew and was known by hundreds, if not thousands of the movers and shakers in the explosive industry. He told many hilarious stories from his experiences in the industry. Dan was a creative, joyful and optimistic person! In his leisure time, he enjoyed golf and fishing and normally visited lakes in the Alexandria, Minn., area at least twice annually. In addition to his parents, one brother, John J. Fitzgibbon and one sister, Anastasia Phillips, preceded him in death. Survivors include his wife, Patricia M. Dain Fitzgibbon of Simpsonville; three sons, Brian Fitzgibbon of Jeffersontown and Barry Fitzgibbon and Timothy Fitzgibbon, both of Simpsonville and one daughter, Meg Ann Fitzgibbon of Shelbyville. Donations may be made to Brain Injury Alliance of Kentucky online at biak.us or to Wounded Warrior online at www.woundedwarriorproject.org. Randy Schwandt was born on July 30, 1946, in Ortonville, Minn. He grew up on a dairy farm 10 miles southeast of Milbank, S.D. Randy attended grade school in a one-room grade school with outdoor toilets. In 1963 he graduated from Milbank High School. 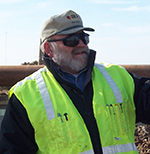 He continued his education at the South Dakota School of Mines & Technology, earning a bachelor’s degree in civil engineering in 1967 as then a master's in civil engineering in 1974. Randy joined the U.S. Army Corps of Engineers in 1969 and served until 1973, attaining rank of Captain. For the next 23 years, Randy worked for Ingersoll-Rand Company, Construction and Mining Division, where he held various positions ranging from sales to management. 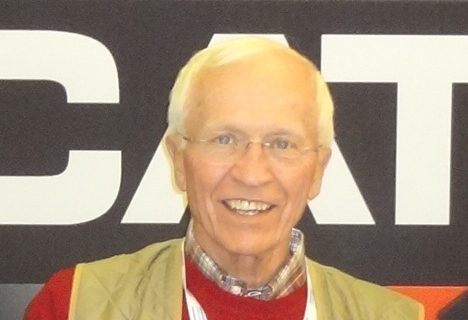 Then in 1998, Randy joined Cate Equipment as president and general manager of drilling solutions. Cate has been a 1-R and Atlas Copco blasthole drill and air compressor distributor for over 60 years. Schwandt will be missed. Ronald Stewart passed away on Monday, Jan. 27, 2014, at the age of 65. He will be greatly missed by his wife Marjory, their son Andrew and his nieces and nephew. Ronald was born in Glasgow, Scotland, to Mary Fraser Stewart and Henry Hamilton Stewart. He was one of three children: Robert Alexander Stewart (Karein and Graham) and Mary Stewart (Mary, Diane and Susie). He met his loving wife Marjory in 1971 through the Duke of Edinburgh's Old Gold Association; they both had a love of climbing in the highlands of Scotland. They married in 1973 and moved to Boston. A gifted pupil, he was dux twice while attending Eastbank Academy and from there went on to study theoretical chemistry at Glasgow University, where he won the Medal for Chemistry in his first year. After completing his doctorate degree, he was awarded a Harkness fellowship, to attend Harvard University at the observatory as an astrophysicist. He then moved back to England where he took up a position in research and development at ICI in Runcorn and then in Scotland at Ardeer in Ayrshire. He moved to Brownsburg, Quebec, Canada in 1992 as technical manager working in the explosives division. He made his mark on life and will be remembered through his many scientific publications, inventions and patients. The family would like to thank the surgeons, nurses, orderlies, transplant office, and the perfusionists at the Heart Institute for all their wonderful expertise in keeping Ronnie alive. We would also like to thank Dr. Bell at the Riverside hospital for his attentive care. Thanks also go to the PSW ladies, and the many nurses who came to the house to attend to him. 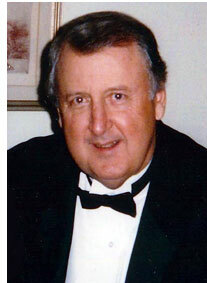 Gerald "Jerry" Bruce Dilley passed away Dec. 7, 2013. He was born May 25, 1947, in Caldwell, Idaho, to M. Clyde and Virginia (Fitch) Dilley. He attended Caldwell schools graduating in 1966. After spending time in Vietnam he returned to Idaho and worked in the mines at Kellogg, Ind. Returning to Caldwell, he worked driving for the ambulance service. This sparked his interest in medicine and he graduated in the first class of Canyon County paramedics. In 1978, he met and later married Pat Schoen, combining their families to make five children. At this time he also started his own business, Superior Blasting, Inc. Two of his boys later joined him in this endeavor, one as a driller and one as a powder man. In 1984, he became a member of the International Society of Explosives Engineers (ISEE). In 1997, he became an original, investor and board member of Northwest Energetic Services, a new company in Oregon that sold and distributed explosive products. This provided Jerry and Pat numerous trips to Alaska, Hawaii and other areas of the U.S.
For many years, Jerry and his crew spent the Fourth of July providing a fireworks display for the city of Caldwell. In 2002, Jerry was surprised and honored to receive the Blaster's Leadership Award from the ISEE. Along with his wife Pat, he is survived by 5 children: Gina Dilley, David Dilley, Dave (Holly) Schoen, Danny (Maria) Schoen and Debra Gates. He is also survived by brothers Harlan Dilley and Mike Dilley; four sisters Gloria Corn, Karen Soran, Patricia Ringer and Candie (Cliff) Burdine; ten grandchildren Tyler Schoen, Megan Schoen, Bradley Dilley, Austin Fusselman, Kristina Dilley, Makayla Schoen, Karley Fusselman, Alisha Dilley, Grady Gates and Gentry Gates; plus numerous nieces and nephews. Everyone that knew him considered him a friend. A special thank you to doctors Randall Hutchings; Michael Mallea; Steven Writer; Christopher Sjoberg, CNP; Dr. Otto and the white team at Meridian Elks Wound Care. In lieu of flowers, please make a donation to American Diabetes Association or a charity of your choice. A viewing will be from 5 to 7 p.m. Friday, Dec. 13 at Flahiff Funeral Chapel, Caldwell. Funeral services will be held 10 a.m. Saturday, Dec. 14 at Canyon Hill Church of the Nazarene, Caldwell; interment will follow at Canyon Hill Cemetery, Caldwell. Condolences can be made at www.flahifffuneralchapel.com.